When launching a successful startup, funding is only part of the equation. Once you have the capital you need, positioning your company so it can deliver returns is the next step. And when your startup reaches this step, location is key. If you’re planning to expand your startup to a new location, Chicago is a great place to start. The Windy City has stood as one of the great hubs of startup success for a long time. In fact, Chicago seems to outdo itself year after year in terms of businesses that secure funding and achieve top-dollar exits. Is Chicago Your Kind of Town? 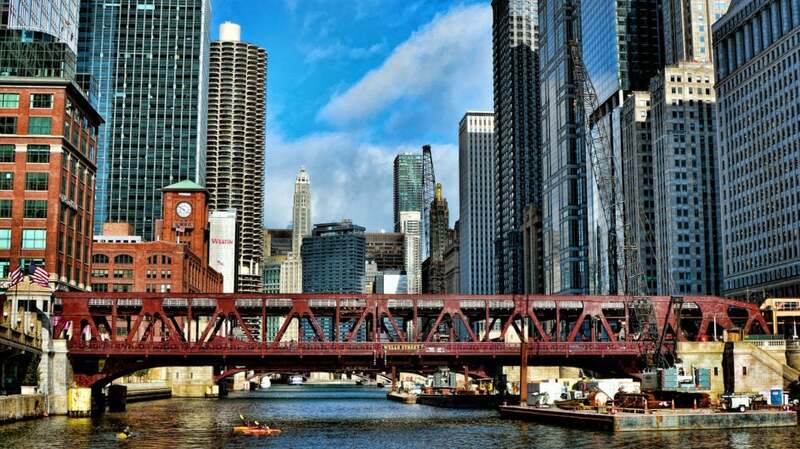 Chicago is smack-dab in the center of the country, lying right at the heart of key Midwestern markets like Minneapolis, Milwaukee, Indianapolis, and Detroit. It also offers plenty of client opportunities, thanks to its population density, making it easy to achieve coverage with a smaller team. What’s more, the town has an outstanding recruitment pool, filled with qualified candidates. Its population has a soaring university education rate and a thriving startup scene. Chicago is home to so many successful companies that it’s already stocked with talent. Define your ideal base of operations. For my company, we knew what worked in California, so we sought the same in Chicago: a high walkability factor with proximity to good food options, fast internet, cheap Ubers, and a bustling environment of young doers. Your company might have different requirements. Ask yourself the following questions: Does a particular location within Chicago match your company’s values and branding? Does it provide room to expand? Will the best employees want to work there? Is the rent reflective of your budgets and needs? Finding your perfect location can be a matter of going where the hottest companies are, like the River North area, which is known for attracting co-working firms. You can use a variety of tools to pinpoint your perfect demographic, like ESRI’s Business Analyst Online, EASI Demographics. ReferenceUSA is a resource that can identify competitors in the area and let you know what kind of revenue they see. The presence of co-working firms, like Free Range Office, WeWork, and Space, signify that many independent professionals, startups, and events are in the area and ready to work. Firms like these are moving into Chicago in droves and have been doubling the space they use year after year. That’s an indication of having chosen in the right neighborhood. Find all the best Apple Watch Series 4 discounts with Tech.Co this Black Friday. We round-up all the best Apple Watch deals, so you don't have to spend an age comparing different retailers. Tony Delmercado is the COO at Hawke Media, the founder of 1099.me, a passionately curious entrepreneur, and an all-around solid dude. He enjoys building businesses, playing golf, improving his Krav Maga and jiujitsu game, writing, studying business tax loopholes, and eating Mexican food. He spends his weekends at the T&A Bungalow in Chesterfield Square hanging with his wife, Anthea; his son, Onyx; and his dog, Naz.